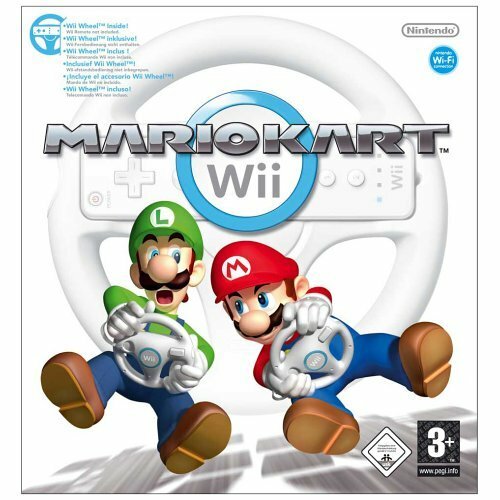 UK Nintendo Wii Finder - games, Wii Fit, Mario Kart SSBB and more at less than RRP! We'll help you find the best UK deals for all your Nintendo Wii hardware and gaming needs - at the best price! There are three BIG releases imminent for the Wii at the moment, with something for everyone whether it be racing online opponents in Mario Kart, fighting a friend in America on Super Smash Bros Brawl or making a positive move to get fit with Wii Fit! 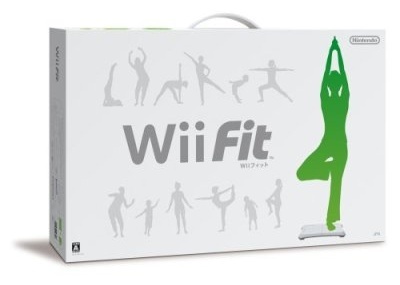 Many online stores are removing pre-orders from their sites for Wii Fit as demand far outstrips supply. We recommend that you preorder from a reputable online store to guarantee your copy. Click here to pre-order Wii Fit with FREE DELIVERY! Increasing your awareness of the importance that fitness has on everyday life and keeping yourself and family motivated should be easier with Wii Fit. The programme allows up to 8 people to track progress and monitor performance. Once you insert the Wii Fit Disc into a Wii console, a new channel - Wii Fit Channel can be added to your Wii Menu system. Once the Wii Fit Channel is added it enables users to not have to insert the Wii Fit Disc into a Wii console in order for the Wii Balance Board to scale your weight to calculate your BMI, measure the center of your bodily balance and conduct a balance test in order to calculate your Wii Fit Age. It also allows you to monitor how long you did which category of exercise for in one day, all in the comfort of your own home and without the need to keep inserting the Wii Fit Disk into your Wii console each time. There are 4 training categories including Aerobic Exercises, Muscle Workouts, Yoga and Balance Games that will help you and your family to develop bodily balance control ability, burn fat in the body, help tone and condition muscles, as well as help increase aerobic stamina. Discover over 40 different activities within these training categories such as Hula Hoop, Ski Jump, Press-up Challenge, Rhythm Boxing, Rowing Squat, Lunge and classic Yoga poses such as Half Moon, Tree and Crocodile Twist. With all this on offer and much more, Wii Fit along with the Wii Balance Board introduces an accessible and intuitive programme for all the family to enjoy. Through Wii Fit's training programme, helpful tutorials and encouragements from your on-screen fitness trainer, who will change his or her verbal instructions depending on how you actually perform, and the included Wii Fit Channel, you will continue to have endless fun whilst having the satisfaction of knowing you are aiding yourself, and your family, on towards a path of a healthier lifestyle. Click here to pre-order Mario Kart with FREE DELIVERY! For the first time ever players will have the option of racing with karts or a brand new mode of transport – Bikes. Using bikes as your chosen method will offer up some interesting and different gameplay possibilities such as carrying out a "wheelie", which in turn will give you a small boost that could be crucial and make that all important difference at the finishing line. Click here to pre-order Super Smash Bros. Brawl with FREE DELIVERY! 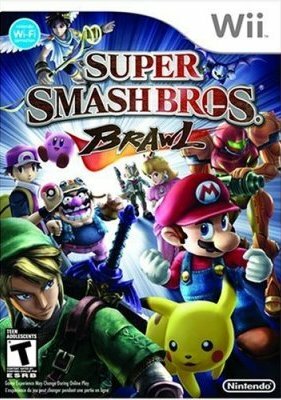 The third installment in Nintendo's popular Super Smash Bros. fighter franchise debuts on the Wii in Super Smash Bros. Brawl. Loaded with all the characters and features players have loved from the two previous versions, plus much more, it is a worthy addition to the series and yet another must-have title for the Nintendo Wii. The lifeblood of the Super Smash Bros. series has always been the depth of the character lineup that each installment has been able to bring and Brawl not only keeps with tradition, but does it one better. Just as in Super Smash Bros. and Super Smash Bros Melee, players can expect to pit their favorite Nintendo characters against each other in head-to-head and multiplayer battles, but instead of insisting on characters exclusively from the Nintendo universe, Brawl adds variety in the form of superstars Sonic the Hedgehog and Solid Snake from Konami’s Metal Gear franchise. This is a first-time addition and one that will delight veteran players and newbies alike. But these two characters are only a sampling of the new additions to the game's lineup. The other ten come from classic Nintendo titles and bring the complete lineup of playable characters to a whopping 25.